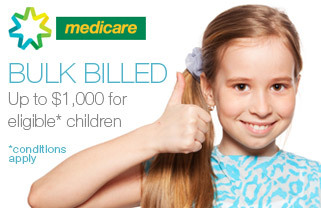 The Medicare Child Dental Benefits Schedule is a dental program for eligible children aged 2-17 years that provides up to $1000 in benefits to the child for basic dental services. Services that receive a benefit under the program include examinations, x-rays, cleaning, fissure sealing, fillings, root canals, extractions and partial dentures. Benefits are not available for mouthguards, orthodontics or cosmetic dental work. At Heasley Dental we will bulk bill eligible treatment straight to Medicare with, in most cases, no out of pocket cost to the patient. Please contact our surgery to see if your child is eligible for the Child Dental Benefit Schedule. Heasley Dental is one of Toowoomba's leading family dentist. Book your appointment today. For a personalised, safe and caring environment make an appointment with the team now.